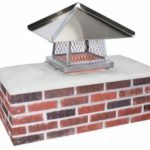 Chimney and fireplace accessories can make your fireplace more efficient, safer, and more aesthetically pleasing to look at. 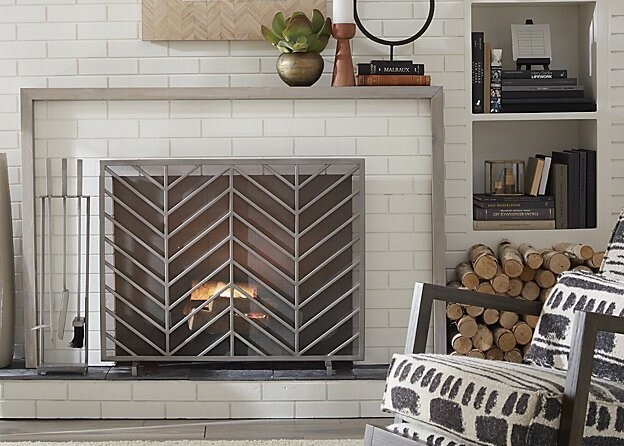 Here are some accessories that will make a great addition to your chimney and fireplace. If you have an existing fireplace, upgrading it to a fireplace insert is a great way to make your fireplace more efficient. Some models have over 80% efficiency. 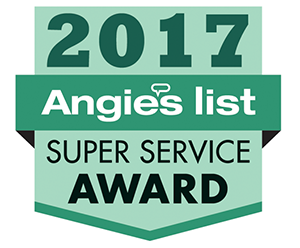 Improved venting system prevents heat from quickly escaping up the chimney and fans push the air into your home instead. Fireplace inserts can either be wood-burning or gas and they come in many different styles. Whatever the style of your home is, there is certainly a fireplace insert to match your style. 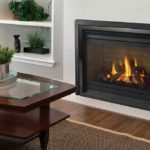 If you need help with the installing process, contact a fireplace professional such as the Oregon Chimney Guys. 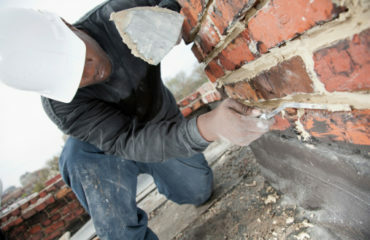 Chimney caps are extremely important for the efficiency of your chimney. 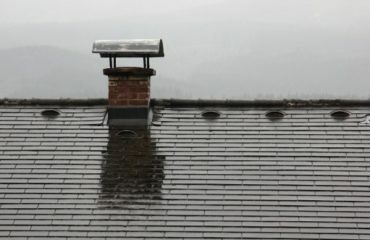 Installing a cap on your chimney will prevent water damage and debris from getting inside the interior of your chimney. Wind directional chimney caps rotate to align with the wind which ensures there is no downdraft. Hearth rugs are great for protecting your floor from fireplace debris and will give your fireplace a complete and stylish look. If you have pets, this will provide a cozy space for them to lay beside the fire. Most fireplace tool sets come as a 5 piece set which includes a fire poker, tongs, brush, dustpan, and a stand. 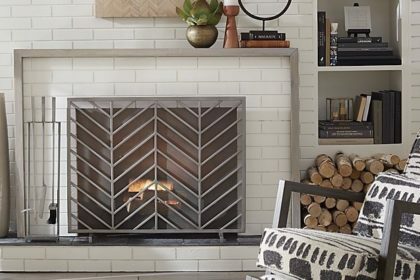 Fireplace tools come in generic styles to ornate and you can use them to upgrade the look of your fireplace to reflect the style of your home. Fireplace screens range in style and price and are an easy way to decorate your fireplace and serve as an added safety feature for your home. Screens will help deter children and pets from getting too close to the fire and will prevent any hot sparks from flying out of the firebox. Organize your firewood with a firewood rack. You can neatly keep your logs nearby and it will also serve as an attractive feature for your home. There are many options for creative indoor firewood storage that are both aesthetically pleasing and functional. 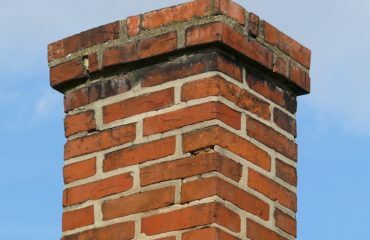 For more tips on chimney maintenance, be sure to continue to follow our blog. If you have any questions contact the Oregon Chimney Guys today! Copyright © 2019 Oregon Chimney Guys.